Don’t let discolored paper, small tears, and other minor damage discourage you from buying a fine art print you would love to own. It is possible to have fine art prints cleaned and repaired. 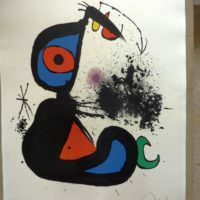 Jerry recently had a fine art print by Modern Master Joan Miró cleaned and the result was wonderful. Check out the before and after photos to see the restoration of the paper to a clean, bright white. The print was restored to its colorful self. 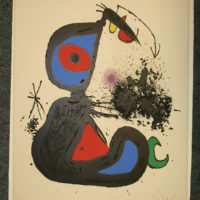 Email Jerry Bengis if you have questions regarding the restoration of a damaged fine art print.